Swarna Rekha Multi-Purpose project (SMP) is located across the three states (Jharkhand, West Bengal and Orissa) in the eastern part of India. The project originally envisaged two dams viz., Chandil dam and Icha dam and two barrages (Kharkai and Galudih) . The project was started during 1982-83 with an aim to supply water for agriculture in Jharkhand, Orissa and West Bengal. Beside this the other aims of the project was to reduce flood damage in Orissa and West Bengal and generate 30 MW of hydroelectric power through medium, mini ­and micro-hydroelectric projects located at various points of the canal system . 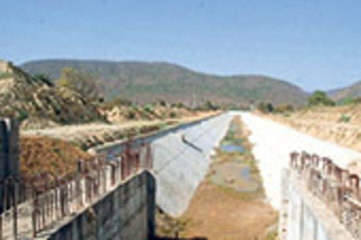 Although it was originally considered two dams and two barrages and the network of irrigational channels, all the component of the project has not been implemented yet. This is because of lack of funds and corruption in allocation of funds. So, benefits for the irrigation or household sectors have not been generated yet . The government of India has recently declared ‘Icha Dam’, on the River ‘Kharkai’, as a national project under ‘Accelerated Irrigation Benefit Programme (AIBP)’. The project has got a new lease of life and a fresh bid to speed up the construction work has been started. Jharkhand state irrigation department also wants to finish Icha Dam part of the Project . After the completion of the construction, the dam will affect about 87 villages in Jharkhand (26 villages are likely to be fully submerged and 61 villages would be partially submerged) and 36 villages in Orissa . Villagers of the affected areas are opposing the state government’s move of construction of the dam. Particularly Tribal community in Saranda forest area of West Singhbhum district refused to give consent for land acquisition to construct Icha dam in Kuju village . Project Details The proposed project is located in Jharkhand on the River ‘Kharkai’. The proposed dam site is located near the Chaibasa town. The proposed length and height of the dam is about 1215.9 meter and 38.4 meter respectively . It is a joint venture river valley project among Jharkhand, Orissa and West Bengal. The major aim of this project is to supply water for agriculture purpose. Around 3.6 lakh hectares of land will be irrigated once the dam is constructed. As the dam site is located in Jharkhand, it will benefit the most. About 2.63 lakh hectares will be irrigated in the Jharkhand state alone. It will also generate around 500 MW of hydel power . Development of Alternatives The area is mainly inhibited by the tribal and they belong to ‘Ho Religion’. The tribe of Ho religion believes in the ‘worship of Mother Nature’. Their social and religious conventions and customs do not permit them to part with their land. Of the 30 villages identified by the government for conducting “gram sabha meetings” (village level meeting) which is essential for land acquisition under PESA Act of 1996 have rejected the project. Hence the project work has not progressed much . Why? Explain briefly. Recently (September 2013) a delegation led by the local Member of Legislative Assembly (MLA) submitted a memorandum to the Chief Minister of Jharkhand opposing the constriction of the dam. The villagers mentioned that if the dam is constructed, about 124 villages will be submerged. The delegation quoted a 1981 survey report that 50,000 families would be affected if the dam was constructed. After hearing the delegation under the banner of "Swarnarekha Project’s Icha Dam Bisthapith Sangh," the Chief Minister (CM) assured that his government would look into the proposal from the activists constructively. The work of the project will be taken up by the government taking into consideration of peoples’ interest. The CM has also assured that works of the dam can only be initiated after taking consent of the people .